After many years with thirst for games of this theme, Dontnod creates his particular vision of the vampiric myth. An adventure in the London of the early twentieth century ravaged by the Spanish flu and a more dangerous disease: the creatures of the night. In this analysis of Vampyr we review all the strengths of this unique and personal work. It may be that Dontnod is one of the studies that you are most eager to take when developing your own ideas. They are not satisfied with following established patterns. The last one developed by Vampyr captivates since it is explained in the initial message before playing. There is no difficulty mode. This varies according to the decision to feed on the different characters of the game. Each inhabitant of the four districts of London that we have at our disposal to explore is an experience bar with legs. 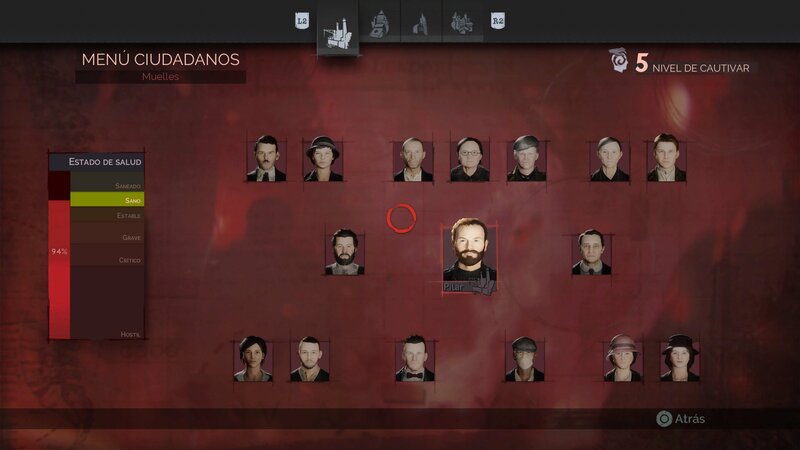 Vampyr is a very smart game. To convey the voracious thirst for blood of a vampire and the temptation to want to feed you, place the player in battles in which we are usually below our level. The experience that we have been fighting is not very high, so if we want to be up to the challenges that the game proposes, it would be as easy as finishing one of their NPCs and easily climbing 10 levels. The question is: will you be able to sacrifice your humanity (and the corresponding side missions) by reducing the difficulty of the game? It’s a brilliant idea, which unfortunately has not worked so well with me nor will it be with any player very experienced in action games. But it’s my fault, not the game. I have been able to accomplish all the missions of history and almost all secondary ones dying only from time to time and without biting anyone, because I have a certain skill at the controls and I have tanned with games that present a good challenge. It is also true that fulfilling all the personal stories and helping the population help you level up, so the game makes many efforts to make this path challenging, but not impossible for any player. The temptation, however, to sink your teeth into some delicious 5,000 experience points and improve your vampiric skills, even if only for the delight of seeing them in action, does not disappear at any time. 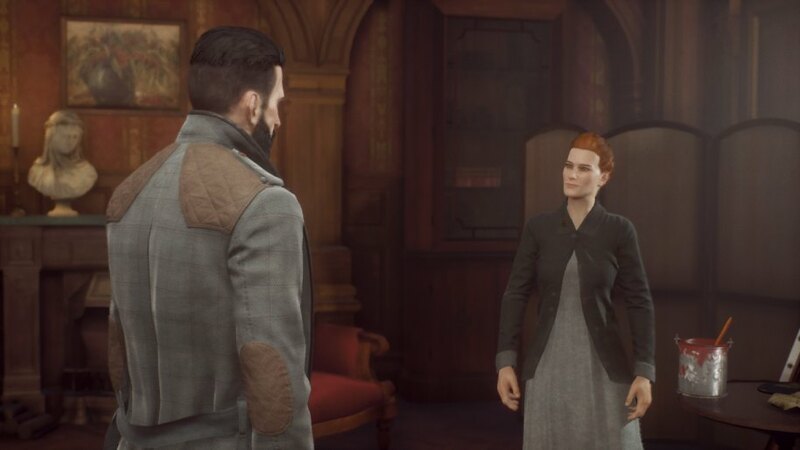 Vampyr is a game of decisions , but it’s great that not all of them are with the typical dialogue wheel. Let the form in which you play also dictate your departure and that the gameplay conforms to all your actions. The different districts contain between 15 and 20 characters with whom to interact, and as a doctor, we must take care that their health is in optimal conditions to avoid losing the neighborhood. If it is healthy, it will be safe to walk through its streets, but if we lose it, the enemies will be fierce and numerous. There is also a pillar of the community, a vitally important character whose destiny will be in our hands and will have a brutal impact on the rest of the characters. There are usually no good or bad consequences, but everything merges into that range of grays that is so well suited to a work where morality is a game mechanic. In my game I followed the most “virtuous” path, without killing anyone until the end of the story, but I can guess what aspects of the story would change if I had altered my actions, so there is a certain amount of redeemable value throughout the years. 25 hours my game has lasted. The shadow of the vampireNot everything is a delight for the palate. 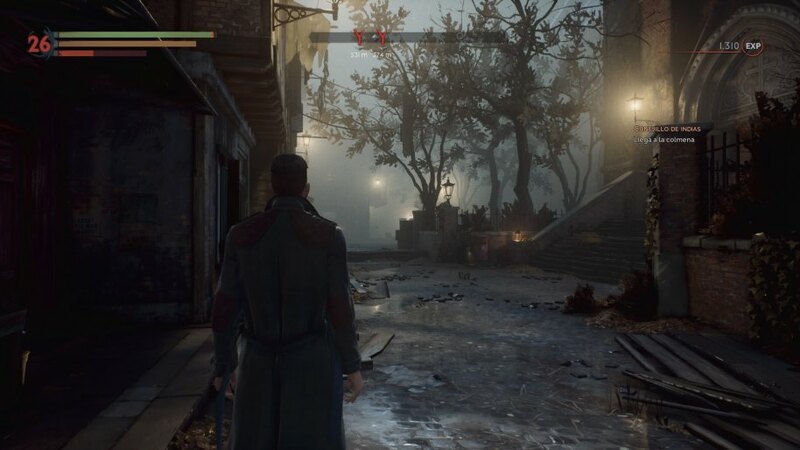 Vampyr is a sinister and beautiful game, but I can not avoid a certain sensation of repetition in its scenarios , caused also by a palette of muted and homogeneous color. There is some variation, because we go from the poorest neighborhoods of the docks, to the most voluptuous haciendas of the West End. From the iconic cobblestones of Whitechapel to the ancient sewers of the London underworld. 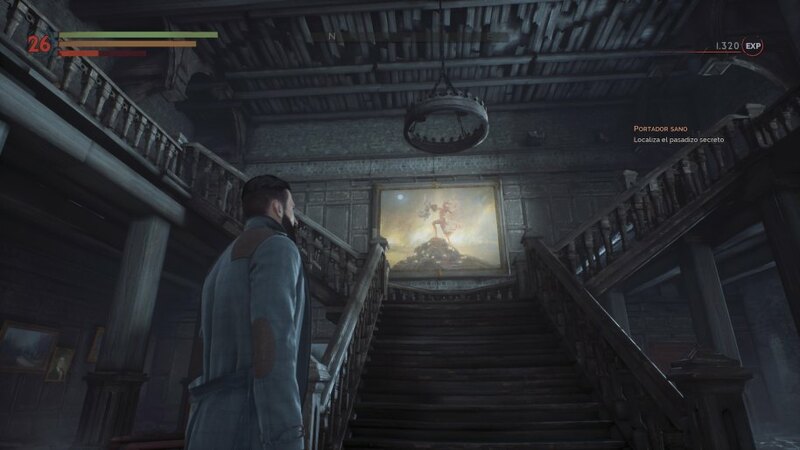 But come to the end, we have some scenes that denote the engine that Dontnod has usedfor Vampyr it could have resulted in a much more varied prints. Even if the night is forced in a vampire game, it is difficult for me to avoid that feeling that each district could have achieved something more differentiation. Personality does not lack, it is easy to immerse yourself in this London eaten away by the disease, in the difference of its social classes that are reflected in the dilapidated homes of the poor and the pomposity of the mansions of the elites. The chaotic and sick London of the time can not help but leave us some moments of great beauty. 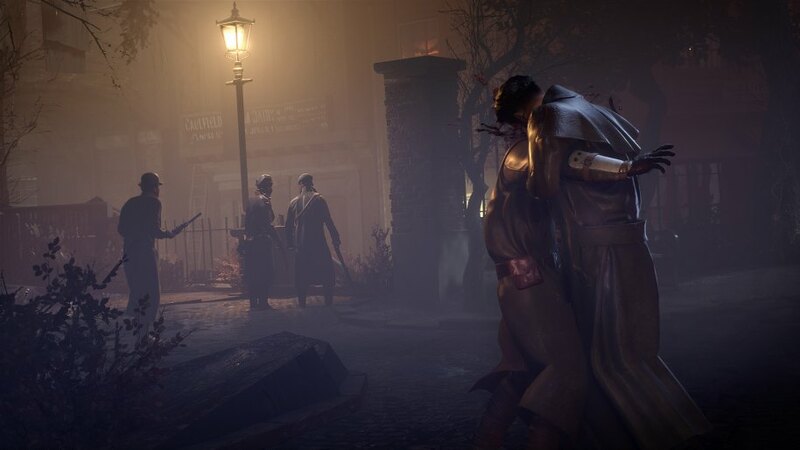 The story is very important in a game of this nature, and the vision of Dontnod for Vampyr is a cross between the most monstrous and the most romantic vampire. I have practically been able to capture tributes and inspirationof each of the most famous vampires that populate the bestiary. There is a certain tradition of Bram Stoker and also of the monstrous and dehumanized vampire. There is also room for the most romantic vampire of Interview with the Vampire that feeds on rats to cling to their humanity. Perhaps the greatest inspirations come from the role play Vampire the Masquerade, with its different variants of bloodsuckers and the so-called Beast that happens when you let yourself be carried away by the thirst for blood. Vampires that hide in a Camarilla species and others condemned to live in the subsoil to hide their monstrosity. Here they are called Ekon and Skal. In some moments we will have to decide the answer. There will be more important consequences than others, connecting directly with the preservation of our humanity. As you can see in this analysis, there are many elements that make Vampyr a very personal title , one of the most traditional that we will be able to enjoy this year. Sometimes, everything goes smoothly and at other times the game loses a certain rhythm. 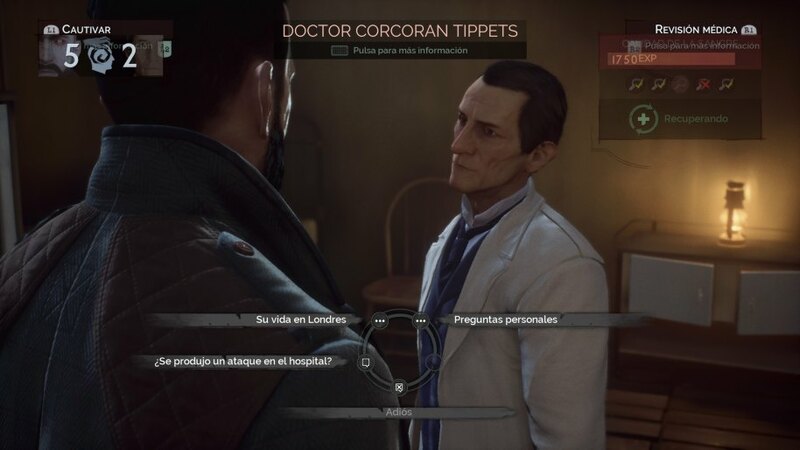 It is a title that costs horrors to start, that invests a lot of time in developing the most mundane London and that does not captivate you completely until the second half of the game, in which the vampiric questions begin to emerge strongly. They are hours of many conversations, sometimes forced, in which our neophyte physician and vampire Jonathan Reid seems to sin even a little bit of metomentodo to later pick up the sown and develop all the secondary missions. The combat is fast thanks to our vampiric abilities, but even having them we do not discard the most traditional weapons. There are occasions, even, in that many of the tracks that we collect to open new dialogues do not have a real playable purpose, relegating some conversations and characters in mere errant wikipedia. When these characters are vampires who tell us their mythology, there is no problem, but when they are mere mortals, the conversation may be less attractive. Of course, when it works, and the game introduces us to its most relevant background, it is where we really see the quality of the pen of the writers of the studio, with some beautifully written conversations and a taste for detail and research of the really notorious era . Thirst for bloodSo Vampyr must be allowed to breathe, like a good wine. We have to absorb it little by little and to liven up the narrative effort that has been put into it, we have opted for a fight that works much better than we could have foreseen at first. For some strange reason, maybe because of that post-Victorian London and those quick dives, it reminds me of Bloodborne more than I should. The battle system is not as polished as that of Fromsoftware, but I think it is effective in what is proposed. The vampiric abilities are effective although less numerous than we would have liked to see, relegating the combat in many occasions in the use of conventional weapons and, above all, a completely addictive dodging system. The districts are made up of about 15 or 20 people whose welfare will affect the whole neighborhood, causing more or less hostility in its streets. The looting and equipment improvement system is relatively simple. We will collect pieces almost by inertia with which to improve a set of weapons that seems rather scarce. We have barely found a handful of weapons from one hand, two hands, from stunning and bleeding and some from fire. The resources that we get to create remedies will allow us to cure the characters to keep the districts healthy and we will have to be attentive to the new formulas that we can find. We will also be able to create injections to heal ourselves, achieve a blood supply or improve our energy. Vampyr is one of those games that you do not see every day. Not only because it is a vampire game (I’m still surprised that we do not have one every couple of years), but because Dontnod has created a very attractive work with a very tight budget, with personality, that does not seek to appeal to the public to obtain the maximum revenues. Frankly, I am only fascinated by the great work that has been done to achieve a videogame that tries to encompass so much with the resources that were available. Within their possibilities, they have perhaps lacked some finesse when embroidering the story, because I have been wanting to focus more on the vampiric myth and that the stories of the districts have more cohesion with each other. But with everything, Vampyr It is a captivating game, and whose difficult comparison with other video games gives a good account of its originality and, therefore, of the necessary that it is in our industry. 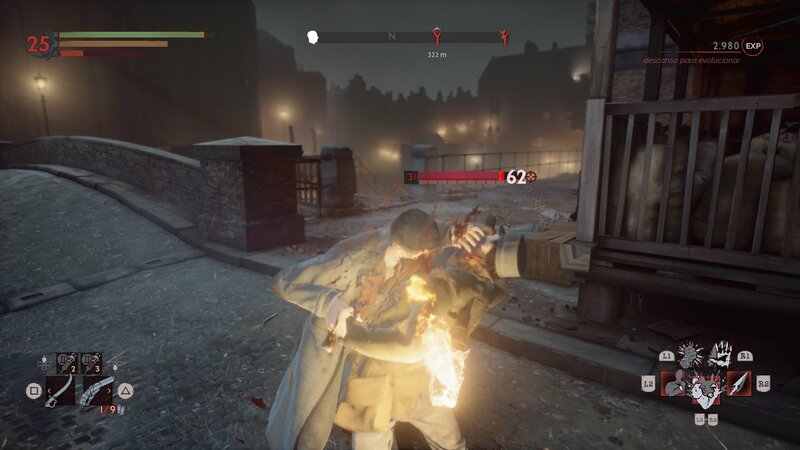 Vampyr is a captivating title with a fluid mixture of narrative and playable mechanics that, although it does not always succeed, impresses with its courage and dedication. With a fun combat system, simple but effective role mechanics and a system of difficulty that enters into direct symbiosis with the vampiric temptation, Dontnod’s latest work gives a good account of the relevance and great ideas of French study.